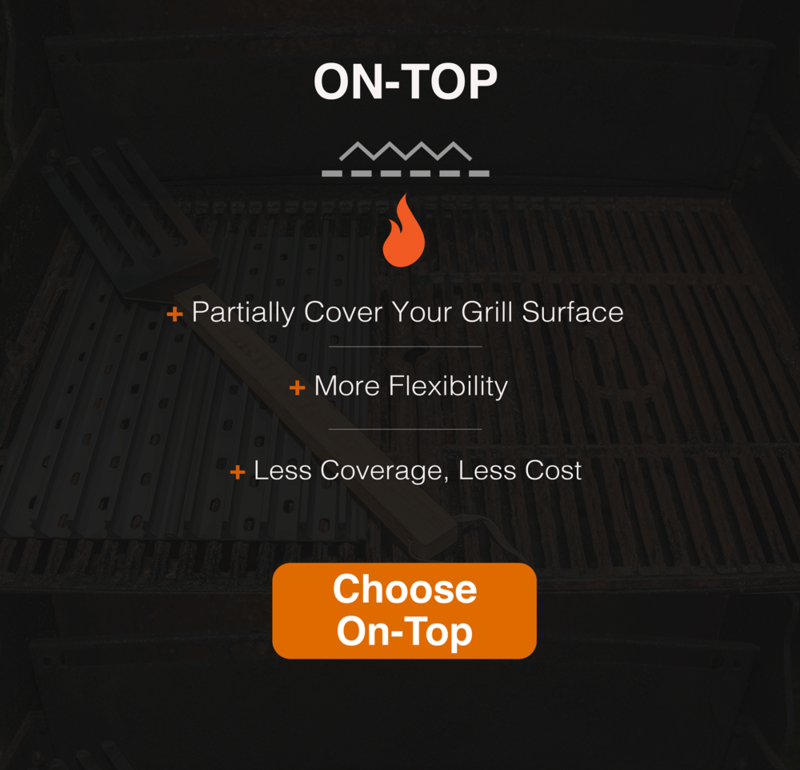 Before you find your grate size, please select whether you want GrillGrates to completely replace your existing grates, or if you'd like GrillGrates to sit on top of your existing grates. Please note, in certain scenarios when a custom size is recommended, one of our standard sizes will work. For example: if your grate length is 19", our standard size 18.8" will likely fit. If you are not sure if you will need a custom size please call us before ordering at 1-877-380-2527. Already know your Grate sizes? 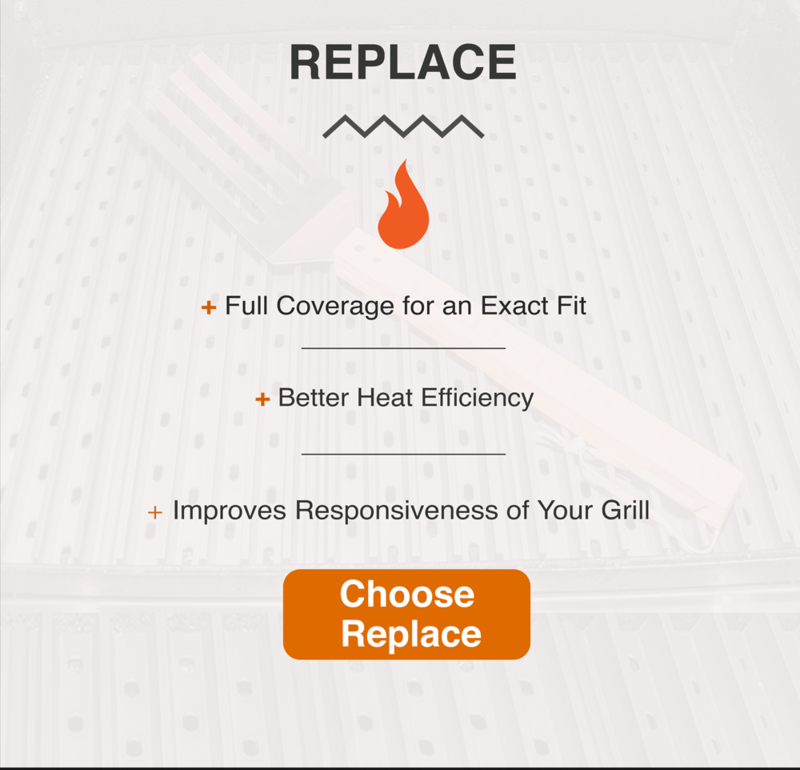 Click HERE to visit our shop page for our full selection of grate products.